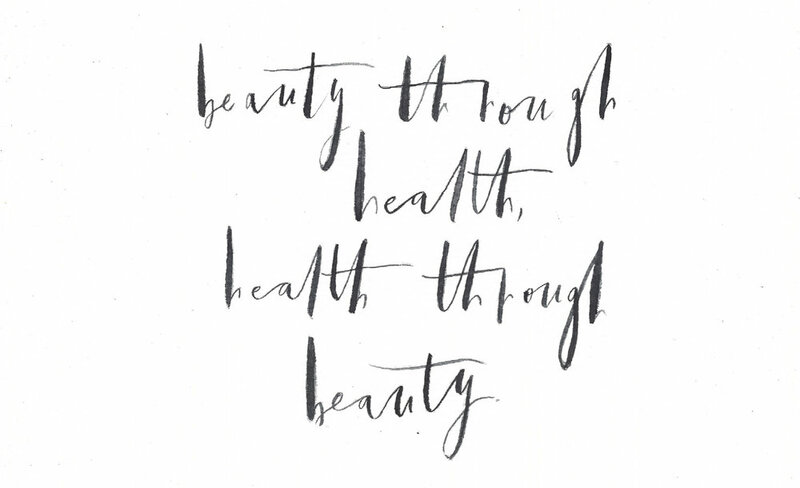 Beauty through health. Health through beauty. I believe in the power of health to create real beauty, and of beauty to promote vibrant health. Optimal health brings us fully alive. And being fully alive brings us real beauty. This is vibrant living. Health and beauty are intimately connected. They are interwoven and interdependent. They inspire, fuel, and support each other. —each have the power to cultivate both health and beauty. We get to choose, knowing that each of these choices has the potential to lead us toward the same destination, being fully alive, healthfully and beautifully, in our bodies. Newer PostLet's Celebrate! WELL is turning 1!